Ruth M. Steffen, 78, of E. Monroe Street Port Washington, died Monday, February 19, 2007 at Columbia St. Mary’s Hospital – Ozaukee Campus in Mequon. She was born March 15, 1928 in Port Washington to Joseph and Katherine Solms Bossler. Ruth graduated from Port Washington High School. On October 28, 1950 she married Philip H. Steffen of Fredonia at St. Mary’s Church in Port Washington. 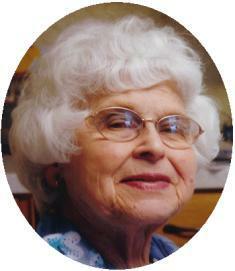 She was a homemaker and enjoyed her family and grandchildren. A member of St. Peter of Alcantara Catholic Church, her faith was very important to her and she attended mass daily. She also enjoyed reading and was an avid walker. Ruth is survived by her husband Phil, sons Gary (Judy) Steffen and Paul (Kim) Steffen all of Port Washington. Proud grandma of Aaron, Noelle, Jordan, Alexandra and Kelsey. Further survived by brothers Marvin (Ruth) Bossler of LaCrosse, Wisconsin and Fred Bossler of Port Washington, sister Joan (Peter) Albers of Kewauskum, other relatives and friends. Preceded in death by her brother Herbert and Carl Bossler, sister Dorothy Scholz and a sister-in-law Catherine Bossler. The Reverend Patrick Wendt will celebrate Mass of Christian Burial 7 pm Thursday, February 22, 2007 at St. Peter of Alcantara Catholic Church, 1800 N Wisconsin Street, Port Washington. Interment parish cemetery. Visitation 4 – 7 pm Thursday AT CHURCH with a 4 pm rosary service. Memorials to St. Peter’s Church appreciated.